What conditions did they live in? 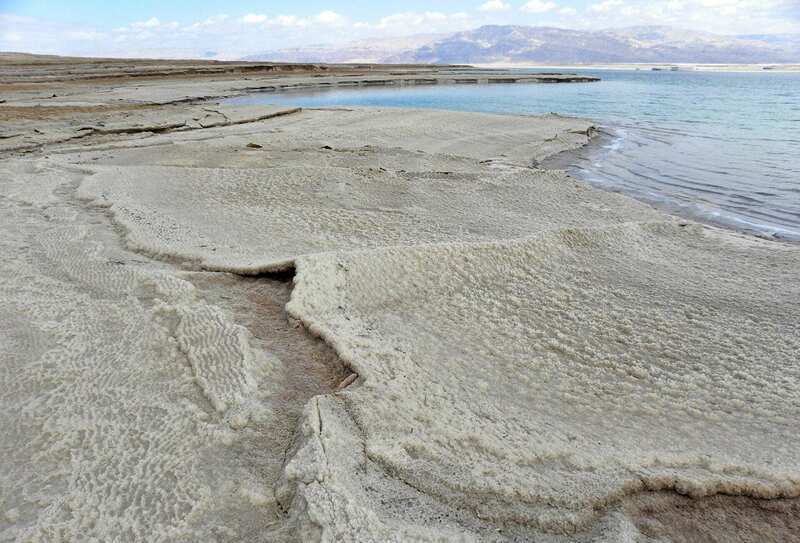 Researchers from the University of Geneva (UNIGE), Switzerland, and the University of Lyon, France, have examined the sediments in the Dead Sea, where the salinity is without compare, making it one of the most hostile environments on the planet. The geologists drilled a 400-metre hole in the core of the Dead Sea before analysing each layer of sediment and the traces of a strategy that enables bacteria to survive by feeding on the remains of other organisms. This discovery, to be read about in the journal Geology, will further our understanding of how life can develop even in the most severe conditions. It also provides vital research leads for detecting life on other planets. The study of the deep biosphere – microbial presence in sediments – helps us understand the various aspects of the evolution of the Earth and the manifold climatic changes that it has been subjected to. «”t’s about studying bacteria and archaea – the oldest forms of life on Earth – that live in the sediments, and analysing the transformation processes that result from their presence, and that’s called diagenesis,” explains Daniel Ariztegui, a professor in the Department of Earth Sciences in UNIGE Faculty of Sciences.